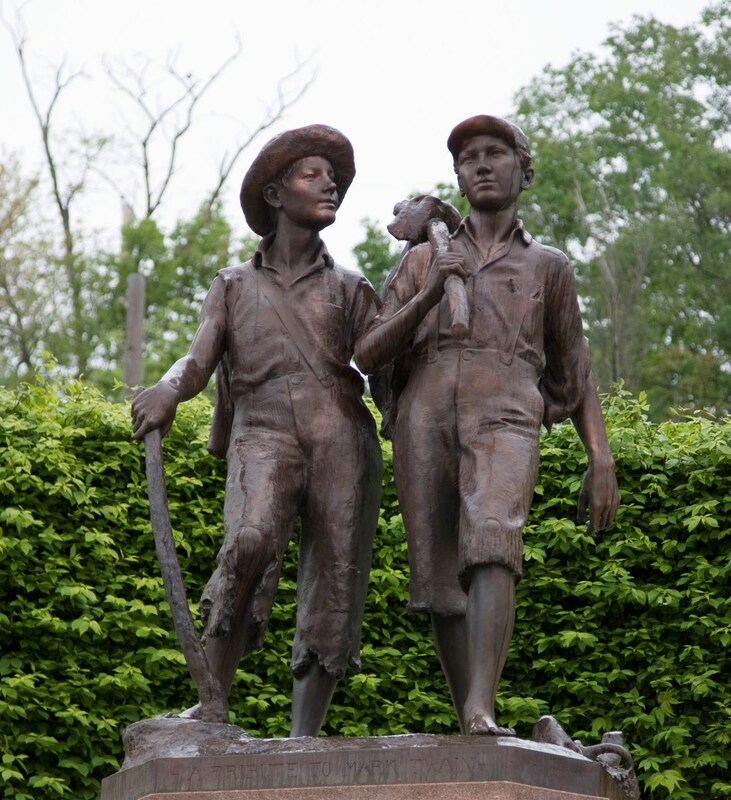 This town hosts bronze Tom and Huck merrily walking towards adventures, since their creator Mark Twain spent his early years in this very place. Every year from June 30 to July 4 both locals and numerous tourists gather near the monument to celebrate National Days of Tom Sawyer. 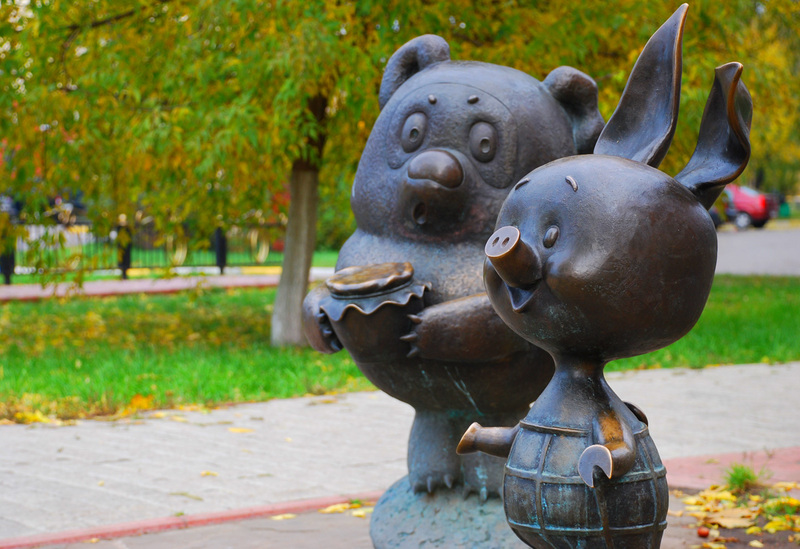 In 2005 not far from Moscow in town of Ramenskoye cropped up bronze copies of a little bear with “wood dust” inside his head, and his faithful buddy piglet Piatachok from the popular Soviet cartoon. 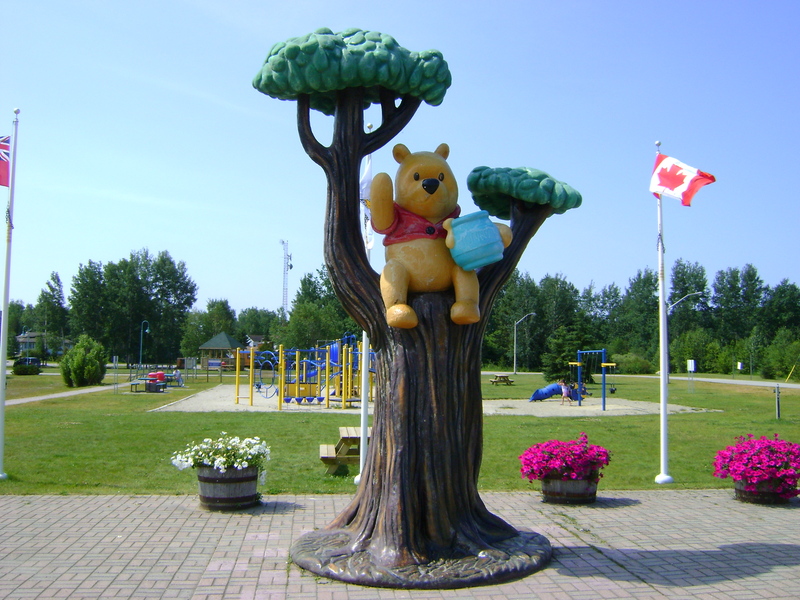 American version of the clumsy bear is located in the Canadian province of Ontario. However, it is much more colourful and much brighter, the same as the Disney cartoon. At the 75th birthday of the fairy tale, a monument to its main character – a wooden long-nosed guy – was unveiled in the square of the town from which Carlo Collodi adopted his pen name. Together with Pinocchio his friends Falcon and Fairy are staring at us. And at the bottom there is an inscription: To the immortal Pinocchio from grateful readers aged from four to seventy. 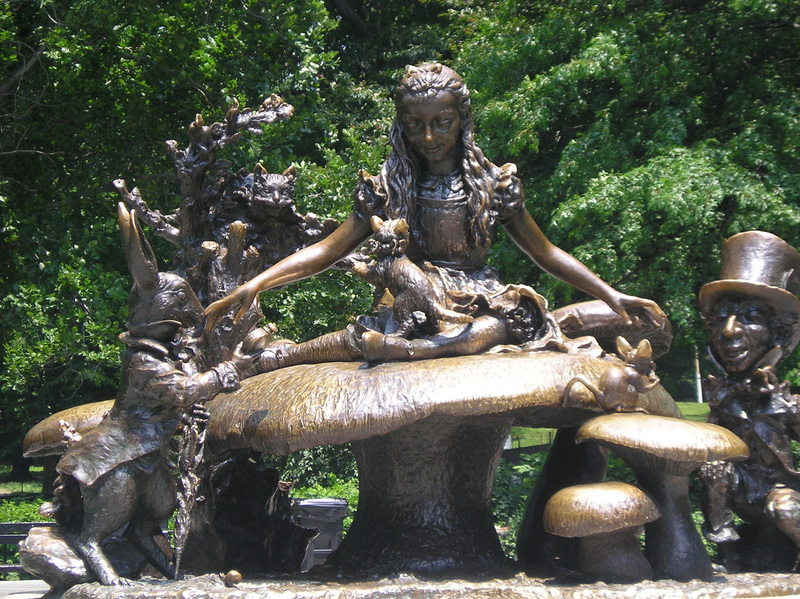 The city Central Park prides itself on being a residence for a whole scene from a fairy tale about Alice’s adventures. The key character is sitting on a huge mushroom surrounded by constantly late White Rabbit with a clock, and the Mad Hatter. The unique feature about the sculptures is that it was created in full compliance with illustrations by John Tenniel printed in the first edition. 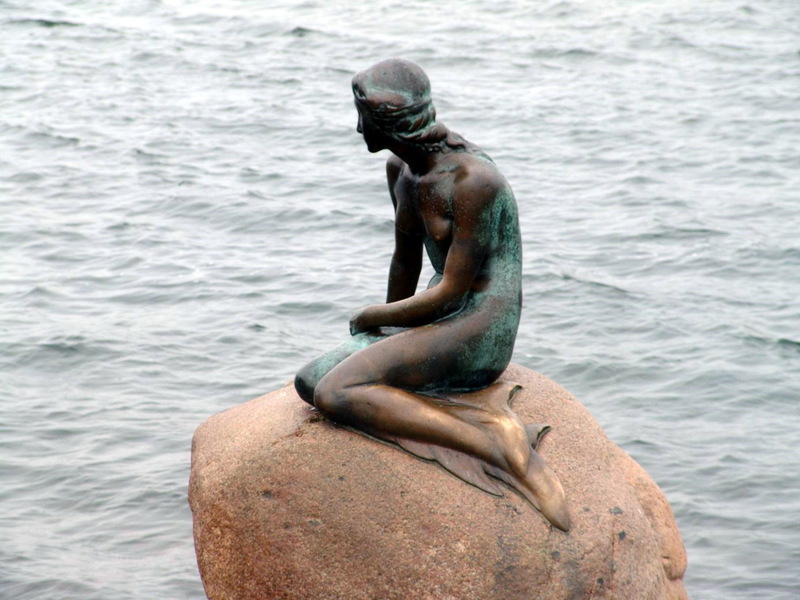 Immortalized in bronze main character of Hans Christian Andersen’s fairy tale celebrated as much as 100th anniversary last year. During its existence the statue managed to appear on hundreds of tourists’ photographs, to top the list of the most visited places in the city and to be restored a couple of times after it got beheaded and poured with paint. 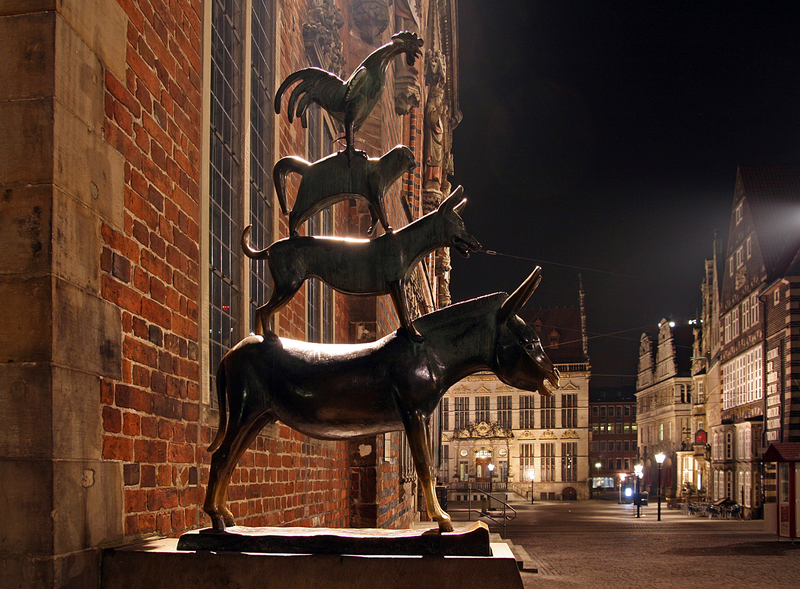 Guys from tales of Grimm Brothers – singing donkey, cat, dog and rooster – are known not only to all the Germans, but also to readers from many other countries. They are depicted in cartoons, their images are printed on collectible stamps and, of course, bizarre sculptures have been devoted to them. 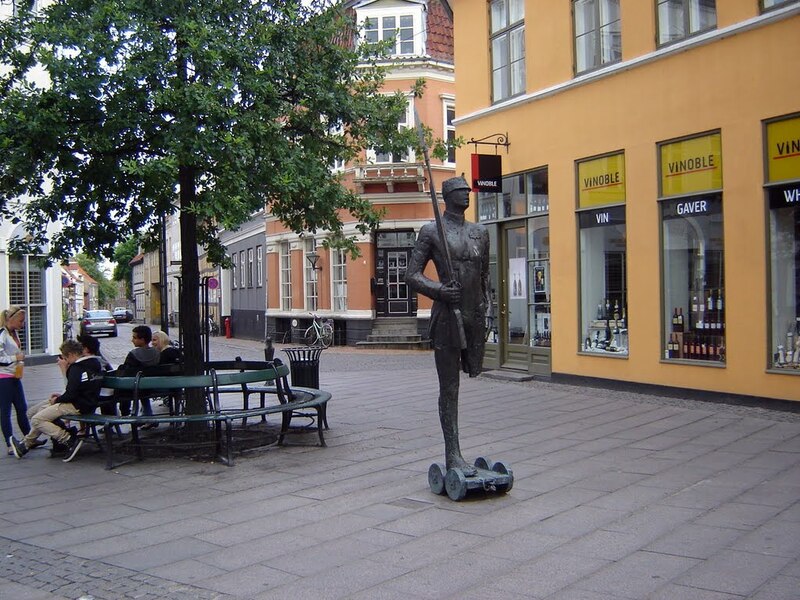 Since the early 50s a special a monument has been available for viewing in the town where the story took place, in the central square near the Town Hall. Figure of the Soldier, as befits the story, is standing on one leg, since for the second one there was not enough tin, and in this case – bronze. 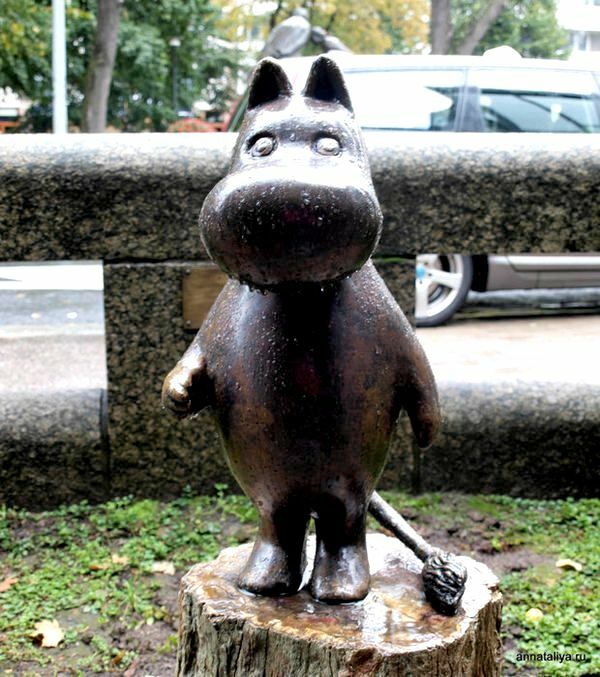 In home country of the writer Tove Jansson, opposite the museum called Valley of the Moomins, was erected a small monument to the key character of her works. Sculpture of a little less than a meter high was unveiled in 2005 to the 60th anniversary of the first book publication.